San Francisco based Bossa Nova Robotics develops personal robots for the home based on the ballbot technology under license from CMU. 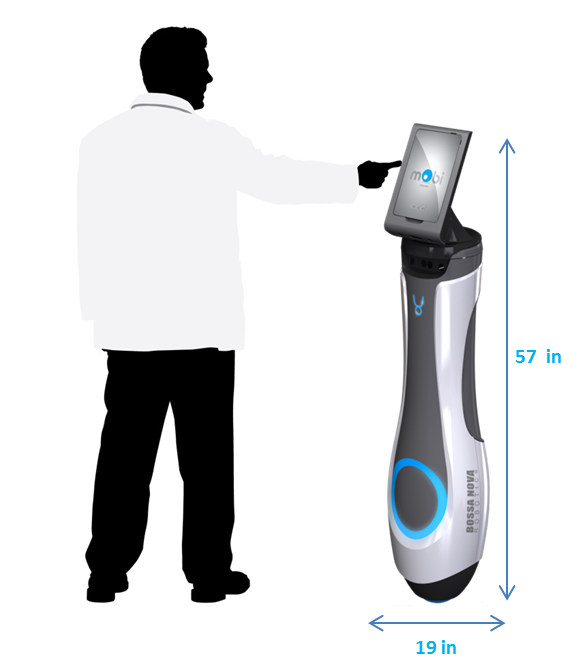 Founded by robotics entrepreneur Sarjoun Skaff as a spin-off out of Carnegie Mellon University´s Robotics Institute in 2005, the company manufactures the mObi robot that will be available for researchers and developers in 2013. The platform will feature PrimeSense 3D depth sensors, next generation Intel hardware and a reconfigurable plartform. The Intel processor runs either Windows or ROS (Robot Operating System). As the first commercially availavble ballbot plarform, mObi will provide unique capabilities for a broad range of robotics research and Human-Robot Interaction (HRI) applications. The ballbot locomotive technology was invented by Professor Ralph Hollis and the rapid deploy safety mechanism was developed by Ben Brown. The ballbot technology allows the robot to balance and move on a sphere enabling slender design profiles, elegant motion and superior navigation in human environments. A similar ballbot robot, called Rezero, has been developed at the Autonomous Systems Lab, ETH Zurich. Especially designed for high acceleration, it moves in a very organic and elegant way. Rezero was the first Ballbot prototype which was able to show the full capacities of a ballbot.